Reality Computing: Even Better Than the Real Thing? Imagine taking a snapshot of any object and then creating an exact, physical copy. Even if it’s underwater? Thanks to Reality Computing, that’s what startup The Hydrous is doing to help better understand endangered coral. 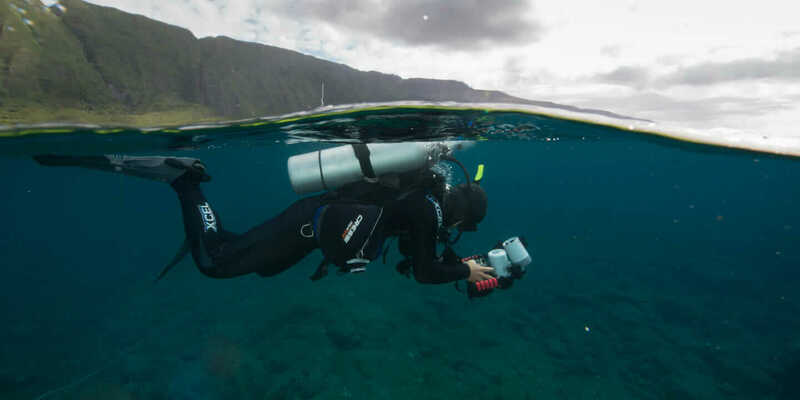 One recent five-day underwater expedition garnered more than 27,000 photos, 2 TB of data, and photo captures of more than 100 corals. These will then be used to create exact, interactive 3D-model replicas for scientists and educators to study and preserve the reefs. Reality Computing is a true integration of the physical and digital worlds in just a few steps. Capture an object digitally through photography, laser scanning, and more. Upload the data to digitally compute designs or simulations in software. And then create the object again—through digitizing, 3D printing, building, or other production types. Basically, it’s taking reality to technology and then back to reality. Here’s how it works. 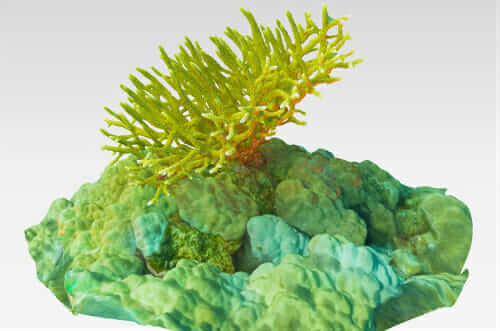 3D Acropora model. Courtesy The Hydrous, Sly Lee. Where Model-Based Design Stands Today—It’s Tough. Model-based design isn’t exactly new, and it’s pretty commonplace across industries from construction to manufacturing. The problem is it starts absolutely from scratch. The context of any design has to be modeled geometrically to relay the spatial information. Take the restoration of a historic building as an example. Everything, from archived drawings to survey information, must be analyzed and modeled first before any new design plans begin. This can take months to re-create the project “reality,” lengthening the time before work can start in earnest. Now, what if you could just take images and cut out this process altogether? Reality Computing is doing just that. How Reality Computing Works. For Reality Computing, it all starts with the “capture.” New technologies, including laser scanning and the ubiquitous mobile phone, now provide the opportunity for Reality Computing to truly flourish. Design context can move away from the laborious re-creating of real-world conditions to capturing it from a digital image. Once the reality is captured, the process moves on to “compute.” Here’s where the digital model and/or digitized reality is created by integrating, manipulating, and analyzing the capture information. Processing software such as Autodesk ReCap helps to register multiple scans, or Autodesk ReCap 360 can turn photos into 3D models. Often 3D design software—like Autodesk Revit, AutoCAD, Civil 3D, or Autodesk Inventor—is used to interact with and integrate the data. Finally, it’s back to reality—either digitally or physically. The digital output is realized through augmented reality or visualizations. And a physical object can be created through 3D printing, manufacturing, or other fabrication techniques. Many times the digital versions are for architecture or civil engineering renderings, helping clients and stakeholders to truly understand the project in a way that could never be conveyed with traditional drawings. The physical “copy” can be for a myriad of uses, from manufacturing to construction to consumer products. Reality Computing in the Real World. So, outside of 3D models of coral, how can Reality Computing work from start to finish in the real world? Say an important, customized part for a machine breaks on an aircraft carrier in the middle of the ocean. The serviceman takes a photo of the broken part. The image is then uploaded, “digitally repaired,” and then 3D printed—all onboard the ship. Or, are you ready for shoes that fit you like, well, a glove? Startup Feetz is embracing Reality Computing for the ultimate shoe experience. Snap three photos of your feet and choose your design preferences. 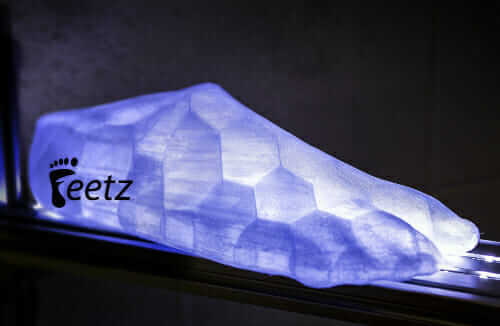 The company’s “SizeMe” code produces a one-of-a-kind digital model to 3D print a shoe with the perfect fit. Save time, cut costs, and even more accurately design and make things? Check, check, and check for Reality Computing.